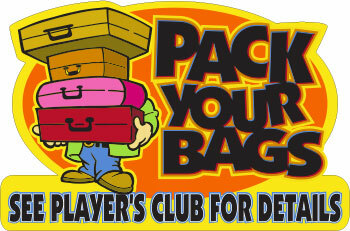 Specialty House of Creation - Pack Your Bags! 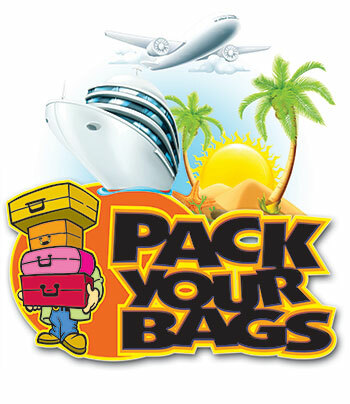 Pack Your Bags And get ready to travel! 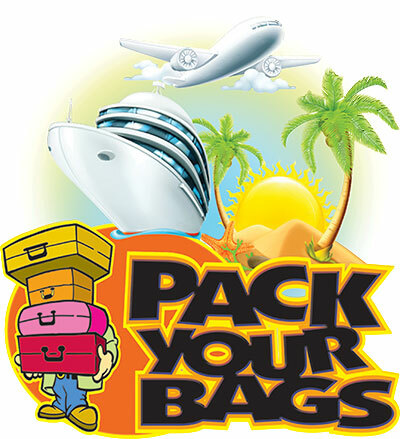 A fantastic add-on program to generate more excitement for your vacation/travel giveaways! Players earn Keys for a chance to unlock the Suitcase and WIN! 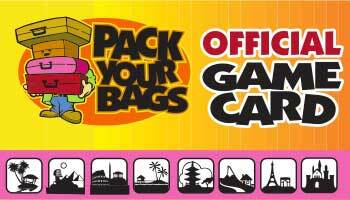 Game pieces can also be used for slow days, new Players club sign-up, hotel stay etc. 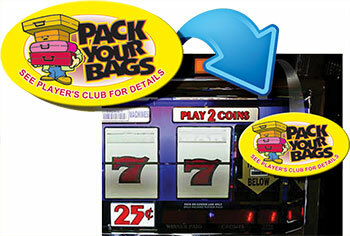 The choice is yours, you can fully incorporate all aspects of your casino! #4 - second chance drawing will be held the night of the event (winner must be present). 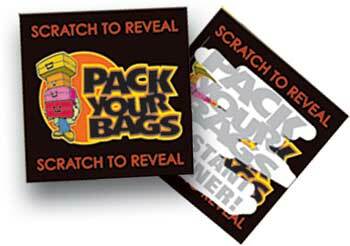 The end result is to have 15 Players who will select a key to open the suitcase & win the trip. The 14 finalists that did not win the grand prize can receive 2 roundtrip airline tickets, a gift card from one of popular air carriers in your city or a set of luggage. If you are planning a group trip or cruise for your Players, adjust the point value and do 2 drawings a month, up till 2 months prior to travel. Easily removable decal for slot endcaps, doors, or walls.